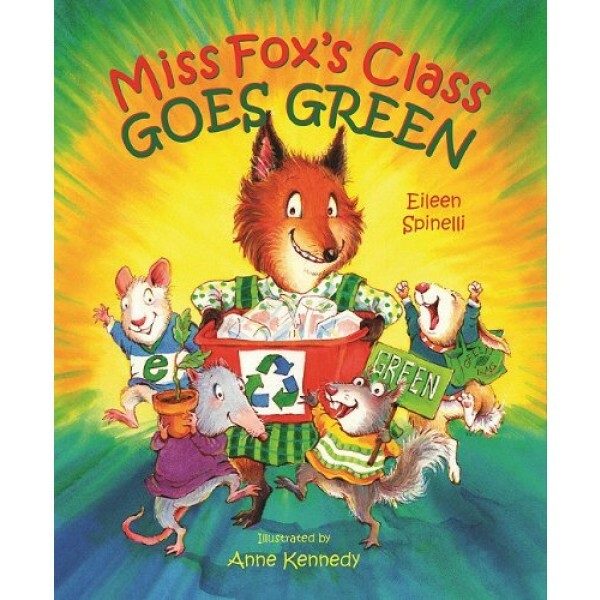 When Miss Fox shows up at school riding her bicycle, Mouse asks, "Do you have a flat tire?" 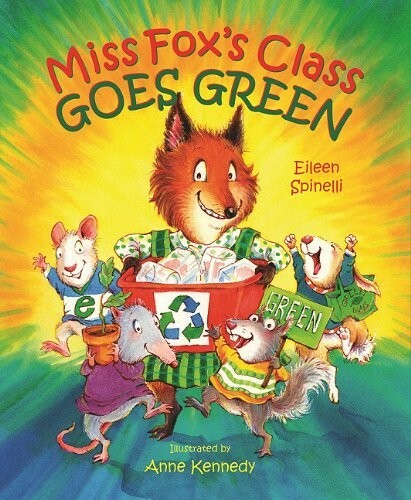 "No," Miss Fox tells her students. "I am going green!" Soon everyone in the class is working to keep the earth healthy. Mouse takes shorter showers (and does her singing after! ); Bunny brings a cloth bag to the supermarket; and Possum turns the lights off when he goes out. And Miss Fox's simple act has ripples even beyond her own students...soon the whole school starts riding their bikes--including the principal.